Gil Scott-Heron died last Friday (May 27th 2011), aged 62. He was one of those artists who built his reputation on the fringes – hugely influential, yet almost completely unknown within a mainstream context. Initially a writer and poet, Scott-Heron hooked-up with musician Brian Jackson at university in Pennsylvania during the ’60s, the duo combining to great effect throughout the ’70s on a number of albums. His vocal style would be an inspiration to the oncoming Hip Hop generation, to whom his socially conscious lyrics, and their defiant delivery, helped lay the foundations for the Rap genre that would subsequently flourish during the ’80s and beyond, not least his keynote recording, ‘The Revolution Will Not Be Televised’, taken from his 1970 debut ‘Small Talk At 125th And Lenox’. My first exposure to his music was via a cover version of arguably his most famous track ‘The Bottle’, with alcoholism its subject matter. 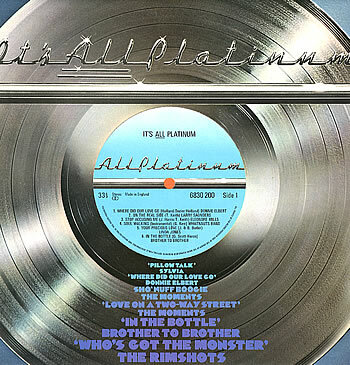 This had been recorded by Brother To Brother (as ‘In The Bottle’), and was on a compilation album, ‘It’s All Platinum’, which I bought back in 1975, before I started out as a DJ. All Platinum was a black music label owned by Joe and Sylvia Robinson, who’d go on to launch the seminal Hip Hop imprint, Sugar Hill, in 1979. ‘In The Bottle’ was a big personal favourite, but it wasn’t until later that I realised that this was a cover, first recorded by Gil-Scott Heron & Brian Jackson on their 1974 album ‘Winter In America’. This original version had been a major Blackpool Mecca ‘discovery’ – the Mecca being right at the forefront of the Northern Soul movement, and its DJs, Ian Levine and Colin Curtis, renowned for breaking the mould, playing contemporary releases alongside the 60’s obscurities that provided the mainstay of a Northern Soul session circa ’74. ‘The Bottle’ was by no means a typical Northern track, given its Jazz leanings, but it took off in a big way at the Mecca, and later at the scene’s most fabled venue, Wigan Casino. Having no Northern Soul connections at the time, I was completely unaware of this and only learned about the tracks legacy with hindsight – it wasn’t issued as a single in the UK until 1979 (as a 12” on the Inferno label, which was set up by Neil Rushton, a key player on the Northern scene), although an epic live version appeared on the flip of the 1977 single, ‘Hello Sunday! Hello Road!’ (this went on to become a huge favourite with the Jazz Fusion dancers a few years down the line, with its faster / more percussive flavour). The first Gil Scott-Heron record I actually bought was the 1975 single ‘Johannesburg’, a show of solidarity with fellow blacks living under the apartheid regime in South Africa. It’s a record I’ll always personally connect with the Jazz-Funk days – it’s unmistakeable ‘uno, dos, uno, dos, tres, quatro’ count-in providing the perfect prelude for that killer combination of groove and lyric, peppered with Jackson’s integral flute patterns, that sets it apart as such a special track. Gil Scott-Heron was certainly an artist who greatly contributed to the evolution of black expression, and, although his isn’t a household name, true aficionados will always dig that little bit deeper to discover the roots, where they’ll find this incomparable street poet telling it like is and, via the insightful observations he made in his own lifetime, inspiring others, both now and in the future, to articulate the experiences of their own generation and properly bear witness. GSH’s “In The Bottle” is the track I will associate with him; it was a big tune when I was growing up in the early 80s. “The Revolution Will Not Be Televised”, however, is probably my all time fave GSH track! There’s so many tracks to chose from , my favourite however is probably ‘Lady Day and John Coltrane’ as played at the Aficionado May bank Holiday party at Electrik in Chorlton , MCR. Now that there is THE version of The Bottle. Absolutely incredible, sounds as good as when I (open mouthed) first listened to Jazz Juice 3 back in the mid-80s. Greg – please play this in Croatia, it would be amazing! Looking forward to seeing you again. I was lucky enough to see GSH perform a number of times in the early 90s and last year. At one performance he mentioned that The Bottle was based on an old African rhythm called ?? that meant something. Can anyone shed any light on the name of the rhythm or its translation or did I just imagine the whole thing! RIP. my first exposure to GSH, was @ blackpool mecca 74 but the tune took on more of a starring role @ the casino i think richard searling was the 1st dj to play it (new stuff usually came from richard) i recall it requried a bit of a change in dancing style as the conventional dancin style did not fit , this was not the only tune that made us change : the brothers “are you ready for this” millie jackson ” theres a house for sale” anderson bros “i can see him makin love to you baby” from 75 onwards the casino began to get a bit funky. i paid the bottle no more heed really until the christians came along they in my opinion did the tune justice, it wasnt until last yr whilst havin a U-TUBE hr that i went back to the source and then i was exposed to a ton of really deep, 70s soul coming from mr scott heron some spoken some sung but track after track resonated with me so much so that last yr i got 6 albums and started to really get into his stuff, “whitey on the moon” was the one that got me on my way closely followed by “winter in america” i love his spoken poems the bluseoligy/ blackHISstory/ jaws it is so relavent even today , it is obvious to me that apart from being a gifted musician he was also very much aware of the ingrained racist laws,behaviour, utter negativity that black americans had to endure on a daily basis, he makes constant mention of numerous shameful incidents that took place every day , to him this was nothing special he was just living his life in some dark dark days but because of his talent , his use of words he was able to constanly challenge the white establishment the law breakers and the lawmakers ,this he does perfectly in ” we beg your pardon america” the list goes on and on … yet again we say goodbye to another legend born out of the suffering of his people… R I P blud thanks for keeping us in the loop n keepin ur eye on all the bogey men. i will be driving to work with you for a while to come..
Ahh yes, Gil. The revolution will no longer be vocalized. I have an original bought in the UK version of Winter in America, on Strata East SES 19742; Strangely, as good as it is, like you Greg I loved that All Platinum album and would probably trade one for the other. I was at the time the album was released laid low following a football/soccer knee injury. I could get a ride to the library and spent ages reading up on the Watergate proceedings in real newspapers. H2OGate blues on Winter in America, seems passé, but at the time it was as radical as anything he’d written, an op ed on the rotten core of the American Presidency. To my regret, as much as I saw most of my Jazz Funk favorites, including Lonnie Liston Smith at the Bottom Line in NY, I never saw Gil live.Peace go with you brother. I was fortunate enough to see GSH in OZ (I think he actually got busted for possession whilst in the country but I could be wrong). An imitate and rocking gig. 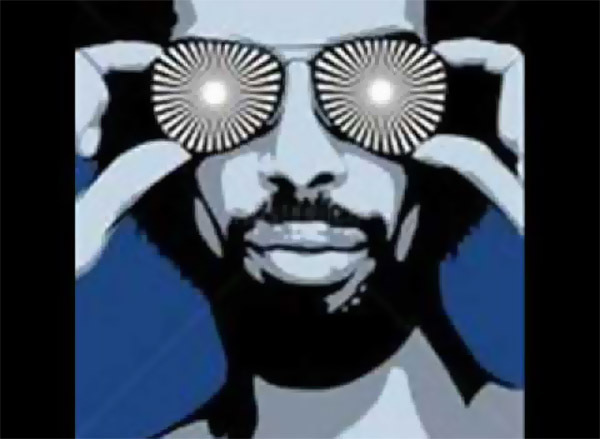 RIP Gil Scott Heron your music lives on.